9 posts categorized "Precious Metals"
With the price of gold bouncing around the $1000 per ounce mark, consumers worldwide are sorting through their jewelry boxes for gold jewelry items they no long want. Since the metal is being sold as scrap, it does not matter if the rings, bracelets, and other items are damaged or broken. What many consumers do not realize is that where they sell their jewelry items may have a significant impact on how much money they get for their gold items. Consumers must sell their gold items to retail business like jewelry stores, pawnshops, or coin dealers. These retailers then sell the scrap jewelry to wholesale refiners who provide that service and are often located in different cities. Just like there are no rules dictating what price a jeweler can sell an item, there are no rules on what price the retailer must offer for buying from consumers. Prices offered by retailers can vary significantly with some retailers offering as much as double the rice as other retailers. Why is there such a big variance in prices? Gold jewelry is an alloy with only a part of the weight being precious gold. For example, 14-karat gold is 14/24 or about 58% gold. Therefore, a one-ounce piece of jewelry only has about 0.58 ounce of gold. When consumers bring in a bag of jewelry items, they seldom know the exact weight and composition of the metal. Likewise, some retailers are not as experienced at determining the actual gold content of jewelry. Gold refiners typically pay retailers for scrap at about $20 to $30 an ounce less than the current market price for gold so are getting about 97% of the current market price. However, retailers are generally offering consumers 50% to 75% of the gold’s value so are pocketing the rest. With potential profit margins of 50% or higher, it is no wonder pawnshops are posting big signs advertising they are buying gold jewelry. It is up to the retailer to decide how much of the value they want to offer the consumer and up to the consumer to accept or go elsewhere. In fact, going elsewhere might be a worthwhile strategy if they have a significant amount of jewelry. By getting price quotes from several retailers, the consumer can avoid the low offers and perhaps make double the money. If you do not know what you have or what the true value of the gold is, getting numerous price quotes can help you maximize your gold jewelry sale. If you do not have many options of places to sell your jewelry items, the more you know about your gold jewelry and the composition of the gold, the more advantage you will have when negotiating with the retailer. If you have an accurate scales, weighing your jewelry can help you estimate the value if you can separate the jewelry into 10-karat, 14-karat, 18-karat, or 24-karat (pure) piles. If you can get the retailer to offer you 75% of the gold’s value at current market prices, you should feel fortunate. The more knowledgeable you are when selling your gold, the more money you will get. Be wary of impulse selling, especially if you are depending on the retailer to tell you what you have and what it is worth. On a recent trip to the diamond district in New York, there were people with “gold buying” signs about every twenty feet on the sidewalks. Do not assume that you are getting a special deal in these tourist locations. It is certainly not worth making a trip to New York or similar large city since retailers in your hometown might be willing to give you a better price. The key is being knowledgeable so you will recognize an appropriate price. Gold prices have increased nearly 20% this year and were at an all-time high last week of $989.30 an ounce. Investors seem to be reluctant to push the price over the $1000 an ounce barrier but industry experts predict the price to push past $1,100 an ounce sometime this year. 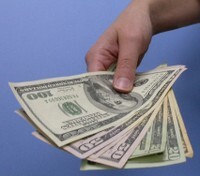 The price increases are being driven by a weak US dollar and escalating inflation fears. Commodities markets are bullish on gold and hedge funds have increased buying the precious metal, driving the price up. Platinum hit record high prices Monday and then again on Tuesday (March 4) as it hit $2,275 an ounce. The increase in platinum prices is also pulling up palladium prices to a 6 1/2-year high of $588 an ounce. Platinum’s price increase appears to be more supply and demand oriented. Its use in jewelry and auto catalysts to clean exhaust fumes increases and supplies were disrupted by mining problems. In the retail jewelry market, the record gold and platinum prices will likely result in a focus on lighter gold pieces and alternative metals like steel and silver. Palladium’s primary use is in the auto industry where for years it has been a key component in catalytic converters. However, recent years have seen a noticeable increase in use in the jewelry industry. The change as a key metal in the jewelry industry was most evident in China where designers took advantage of the metals unique capabilities and saw the demand grow from 70,000 ounces to over one million ounces in just four years. China is now the world’s largest market of palladium jewelry. The interest in palladium for jewelry in the United States has been intense since the country’s largest jewelry trade show in Las Vegas last June. Several top designers projected that palladium could be the industry’s white metal of choice in just a few years. The reasons for the interest in palladium include its similarity to platinum (pure, hard, does not tarnish, hypoallergenic, white luster) but also the fact that it is lighter and considerably less expensive than platinum. Jewelers love its capability for new designs and the higher profit margins they can achieve relative to platinum or gold. Because palladium requires some different techniques and skills compared to gold jewelry making, it will take a little time for it to achieve its full potential but the forces of change are moving. 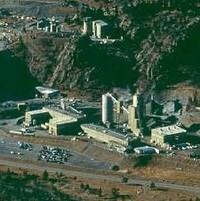 The power behind the booming popularity of palladium in the United States is Stillwater Mining Company located in southern Montana, the only primary palladium producer in the U.S. The palladium ore at their two mining locations is the richest known palladium deposit mined in the world with three parts palladium produced for every part of platinum. By comparison, mines in South Africa yield two parts platinum for every part of palladium and in Russia palladium is a byproduct of nickel mining. In March of 2006, Stillwater Mining Company launched Palladium Alliance International, an organization committed to providing marketing support and promotion of palladium as a precious luxury metal. The platinum industry used a similar organization, Platinum Guild International, to propel platinum to record levels of demand for jewelry. Stillwater Mining is hoping to follow that example to create consumer awareness. Palladium jewelry is currently less than one percent of the U.S. jewelry market but Stillwater Mining Company is aggressively promoting its product and expects that percentage to grow dramatically in the years to come. The jewelry industry has focused its attention on palladium in recent months as the record high price of platinum made palladium an attractive alternative. While the biggest usage of palladium is for automobile pollution-control devices, jewelry now uses 14 percent of this precious metal. Jewelry consumption of palladium is projected to grow 8 percent this year to over 1.2 million ounces. This increase in demand has spurred a 76 percent increase in price this year to $330 per ounce. The engine behind palladium’s growth has been China’s jewelry industry that now represents 69 percent of the world’s palladium jewelry. The United Statues now makes up 10 percent of the palladium jewelry market and organized marketing of palladium is just getting started. “Palladium is going to explode on the fine jewelry market like no other metal ever has,” predicts Scott Kay, CEO of Scott Kay Inc.
Palladium is now a prime choice for high-purity, luxury white metal. With the price of palladium about half that of gold and a fourth that of platinum, palladium is not only less expensive than gold or platinum, but is also lighter and therefore more cost effective. Consumers not only like the lower price of palladium jewelry, they also are attracted to the fact that palladium is brighter than platinum or white gold, is hypoallergenic for sensitive skin, does not tarnish, and does not need plating to retain the whiteness. Montana-based Palladium Alliance International (PAI) is providing the marketing push to get the message out to the consumers. Formed in March of this year, PAI strives to position palladium as peer, rather than an alternative, to platinum and white gold. Many jewelry designers feel that palladium is already a superior metal to platinum for jewelry design and expect that once consumers learn more about this beautiful white metal, demand will soar worldwide. One of the stories emerging from the diamond and jewelry trade show in Las Vegas the first week in June, was an increasing awareness that Palladium is poised to be the significant metal in the jewelry industry. Palladium is a member of the platinum group metal (PGM) and has many of the properties of platinum (white metal, easy to work with, hypoallergenic) but has the added qualities of being more plentiful than platinum, less expensive than gold or platinum, and is very strong but lighter in weight than platinum. Palladium metal is currently trading at about one fourth the price of platinum. 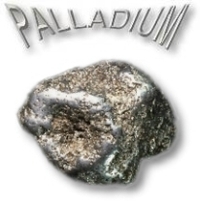 Palladium has many non-jewelry uses and is used in gold, silver and copper alloys in dentistry. Alloys of palladium are also used for bearings, springs, and balance wheels in watches. Palladium is used as a catalyst in the manufacture of sulfuric acid. The automotive industry has used palladium in catalytic converters since 1974. When palladium is alloyed with 40% silver it becomes much tougher and wear-resistant and is used in electrical contact materials. Palladium-silver diffusion membranes are used in the purification of hydrogen. Platinum became a major factor in the jewelry industry due in large part to the marketing efforts of the platinum industry. Time will tell if the palladium industry including organizations like Palladium Alliance International (PAI) will be able to create the awareness and demand for palladium that platinum has achieved in recent years. The price of gold hit a 25-year high yesterday in London causing consumers worldwide to curb their gold jewelry purchases. Typically, commodity prices go up due to demand being greater than supply, but the demand for gold is actually declining and is lagging production. Gold bullion traded at $591.92 an ounce yesterday in London, the highest price since January of 1981. Gold demand from jewelers dropped 15 percent in the fourth quarter, which was the largest single quarter decline since the first quarter of 2002. Jewelry prices are projected to be weak the first quarter of 2006 and the recent high prices will probably ensure that trend will continue. Demand for platinum among North American jewelry manufacturers is expected to continue dropping through the end of 2005, as the price of platinum is forecast to move even higher—above $1,000 an ounce—in the next 6 months, finds a new report. In Platinum 2005 Interim Review, released Tuesday by platinum producer Johnson Matthey, the company projected the price of platinum may reach $1,030 an ounce within the next six months. Demand within the platinum market as a whole is expected to rise by 120,000 ounces to 6.71 million ounces this year, a new all-time high. But the increased demand is coming from the auto industry, which uses the metal for platinum autocatalysts for diesel cars and trucks, and from the computer industry, which uses the metal for hard disks and LCD glass panels. Platinum purchases by the North American jewelry trade are expected to fall 10 percent in 2005 to 260,000 ounces, down from the peak demand in 2000, when jewelry manufacturing demands exceeded 360,000 ounces. China this year has experienced a massive 55% increase in consumer demand for palladium jewelry, while demand for the metal from jewelry manufacturers in China is expected to increase by 70% to 1.43 million ounces, according to Michael Steel, a Johnson Matthey spokesman. In many countries, palladium is viewed as a second-choice substitute for platinum and gold jewelry, but China's growing ranks of affluent consumers view palladium as desirable in its own right, he said. Palladium and platinum are both members of the platinum group of metals and typically are found together in ore deposits. Chinese consumers tend to prize metals for their purity and high levels of palladium purity are available in China, he said. Jewelry makers and sellers, for their part, welcome the trend because palladium has low price volatility and is much cheaper than platinum, making for attractive profit margins. Gold, trading at its highest price since 1988, shows no sign of retreating as production fails to keep pace with jewelry demand and investors buy bullion for a hedge against inflation, a Bloomberg survey showed. Thirty-four of 49 traders, investors and analysts surveyed Sept. 15 and Sept. 16 from Seoul to New York advised buying gold, which last week reached $464 an ounce, the highest since June 1988. Eight respondents recommended selling the metal, and seven were neutral. Supply from mines and recyclers will fall short of demand this year by 14 percent, or 459 metric tons, up from a deficit of 35 tons last year, Citigroup Inc. said Sept. 15. Gold prices are up 14 percent in the past year as jewelry demand soared in India, China and Turkey, and the record-high cost of oil sparked concern inflation will accelerate.